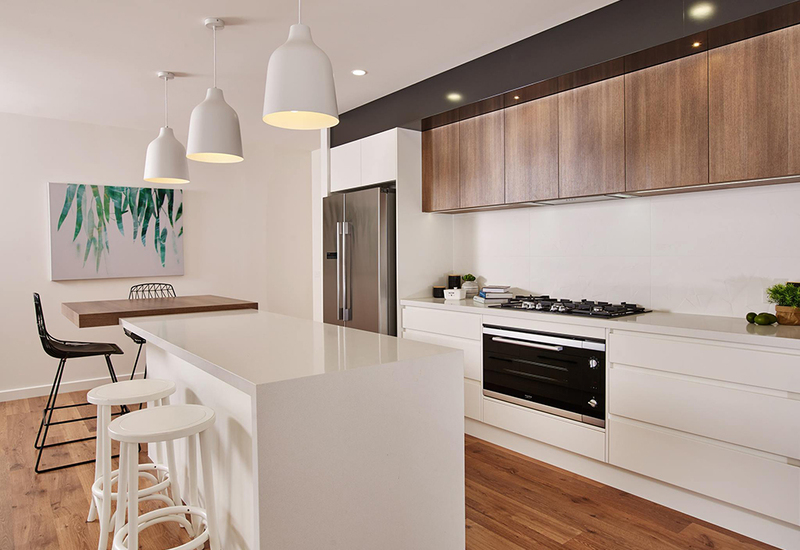 The Enviro9 home by Alatalo Bros is rated as an 8.8 star green home. According to builder Mike Alatalo, 'There is no point striving for the minimum, that is just a standard that needs to be met.' He is talking about energy efficient homes and how his business, Alatalo Bros, aims far higher than the 6 Star requirement, which has been part of the National Construction Code since 2010. Meeting that mark makes a home relatively economical to run, though as Alatalo continues, 'It actually doesn’t cost that much more to build a home that is rated at 7 Stars.' So, what is not much more? 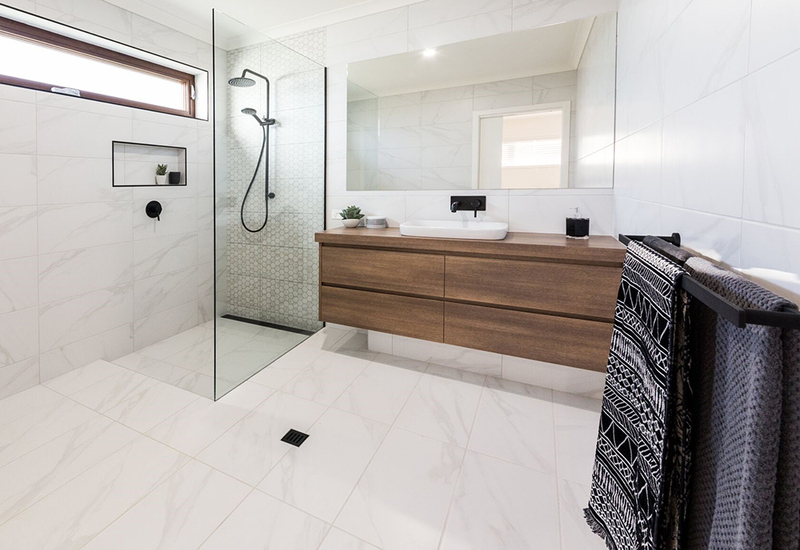 Roughly two percent of the overall cost of the house and land in the areas Mike and his team work in, bordering New South Wales and Victoria. In metropolitan areas, that percentage would easily reduce given the price of land, though for a three-bedroom home the additional costs are around $7,000 – not a great deal if you weigh up the savings on energy bills over a few years. Even in the bathroom, small windows are double glazed to assist with thermal qualities. 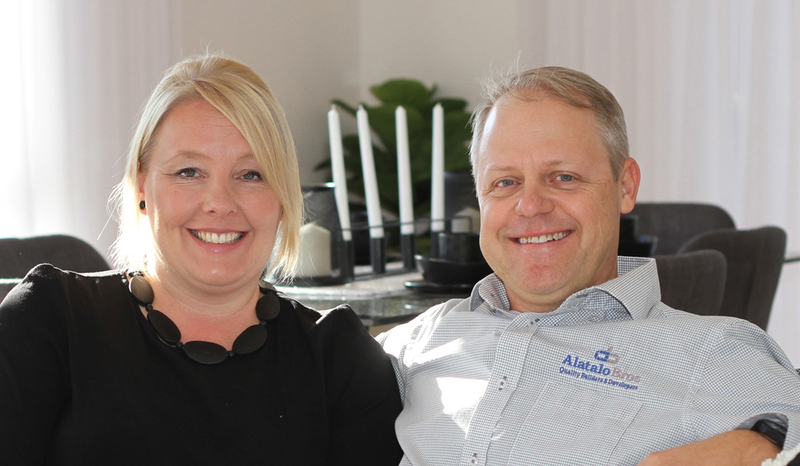 A family run business, the Alatalo’s descend from Finland – a country that knows how important it is to keep in the heat while making the most of the precious daylight during the winter months. In the case of the 8.8 star Enviro9 house in Albury, it is the windows combined with the orientation, that take it to the next level. 'The right orientation on the site is a really a common-sense thing,' says Alatalo. 'In the area we work in – minimising glazing on the south side of the building is a big factor in improving the thermal qualities of a home.' Working with their in-house design team, each home is positioned on its site to maximise these qualities and a floor plan is crafted to suit. Alatalo and his team, based in Wagga Wagga and Albury, see double glazing as a given though new innovations from Europe are adding even more efficiency to this type of insulation. uPVC as it is known, uses a PVC plastic frame instead of the more common aluminium frames, to divide the glass. The thermal improvements achieved are measured in a U-Factor rating where traditional single glazed windows rate at approximately 6.7. Different to the Star rating for an overall home, with windows you want a lower rating and while double glazed aluminium windows rate at 4, the uPVC variety come in at approximately 1.7. Kitchen joinery is made locally by Flair Cabinets who use solar power in their production. To put that into context, the Australian Window Association suggest a rating of 3-5 in the areas between Melbourne and Canberra with that increasing to 7.9 for anywhere north of Brisbane. To add to the efficiency of the house, Alatalo had the windows made locally and, as with the kitchen cabinetry, they are made using solar power and the minimal amount of transport required is another bonus. Anni and Mike Alatalo of Alatalo Bros.
- Using innovations in window design can reduce your power bills dramatically. - Limiting glazing on the southern side of a home will result in less heat loss during winter.